Aula de Adriana: 2º British: World travellers in Medieval Times. 2º British: World travellers in Medieval Times. 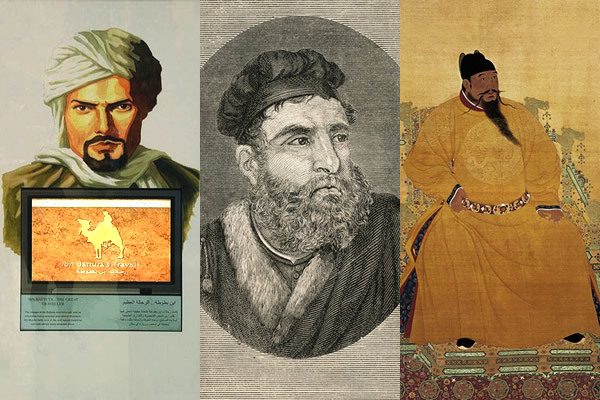 Marco Polo, Ibn Battuta and Zheng He are some of the most important travellers of all times but... who is the greatest one? Would you like to find it out? Would you like to discover their adventures? This is your oportunity! 1. Short biographies: write a short bio of each historical character (maximum: 10 lines per character). Add also their portraits. 2. Why travelling? 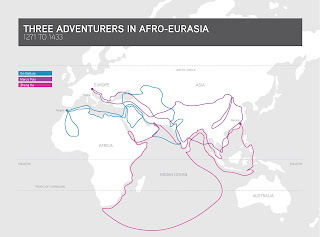 Explain what was the main target of their travels. Bussiness? Holidays? Geographical explorations? Militar conquest? 3. Routes: How old were them when they began their journeys? How long did the journeys take? Who did the longest travel? Which countries did they visit? 4. Primary sources: find some texts from their original books. Choose one extract from it (In your presentation you have to include the text, the chapter it belongs to and the country it is talking about). Them explain why you have chosen that text in particular. 5. Deep study of the place: from the text you have chosen in the previous section, do a deeper study of the area nowadays: Are the cities mentioned on the text still existing? What does the landscape look like nowadays in this area? What differences do you observe between the original description and nowadays situation? You can add images and photos. 6. Imagine you are a young explorer. Use the Internet to research a country that you would like to visit. In a short essay (about 15-20 lines), describe the country, the people, and the sights you will see in this country. 7. Opinion: after studying these three historical characters, which one do you think that is the greatest explorer? Why? Second, oral presentation at class (about 6 minutes). ALL members of the team HAVE TO talk. This is a mandatory activity and you will receive a mark for it. Of course, cooperation, task-sharing and team-effort will be taken into consideration. If you fail to do it, do it out of time or just copy&paste from internet, you will have a 0. 4º British: Did you know…?